Members of the Friends of Sedgefield’s St Edmund’s Church are turning detective to try and solve the mystery of the shrouded skeletons in the centuries-old building. 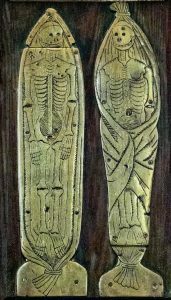 The two skeletons, one male and one female, are depicted on brass plates displayed on the wall at St Edmund’s and are popular talking points with visitors. Little, however, is known about them. Brian Mutch, parish warden and membership secretary of the Friends, is now leading a determined bid to learn more about the mysterious figures by checking out sources it is thought may have detailed information. 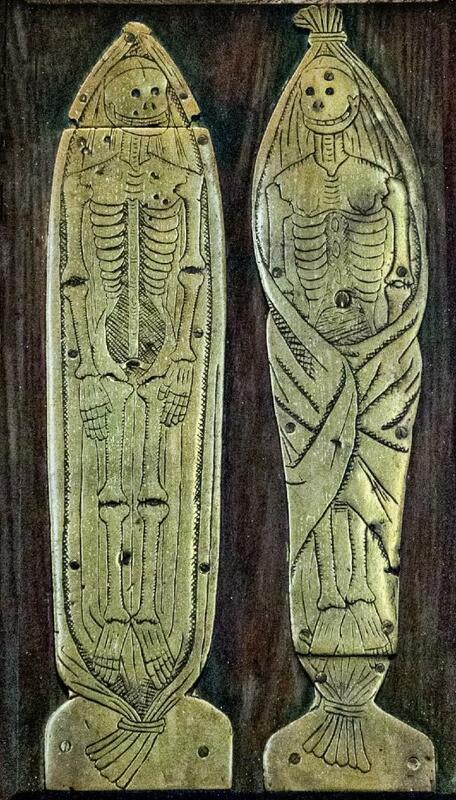 Brian is currently making contact with Archaeologia Aeliana in Newcastle and a London-based organisation that specialises in the history of old church brasses and hopes that this will eventually provide the information needed to allow an explanation of the skeletons to be displayed alongside the figures.